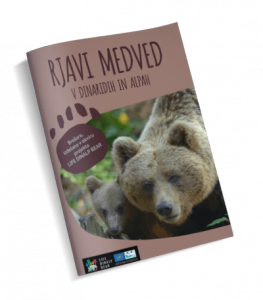 The Slovenian Environmental Agency (ARSO) co-finances the costs of prevention measures or to improve an existing situation. The amount of the refunds is 80% of the total value, not to exceed 2000 EURO. IMPORTANT CRITERION TO QUALIFY: the applicant must have had verified damage occur. The injured party must submit an application for co-financing and enclose a pro forma invoice to ARSO. ARSO prepares the contract and sends it to the injured party for signature. After receiving the signed co-financing contract by all signatories, the injured party makes a prevention measure purchase. After the installation of the purchased measures, the injured party informs the regional unit of the Slovenia Forest Service (SFS). The SFS plenipotentiary carries out a control visit and writes a record to document the prevention measure. The injured party sends the restitution claim to ARSO with enclosed invoices and the records of the implemented measures. After the claim with all appendices is received, the injured party receives the payment of the co-financed amount. Where can I get an advise? 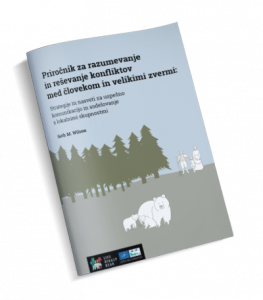 You can ask the Slovenia Forest Service (SFS) for technical guidance on which protection measure is best for your situation. We are pleased to share our knowledge and experiences with you. At regional units of the SFS within the large carnivore area, intervention kits of high electric fences were distributed. This allows us to help injured parties immediately. – example of good practices. I agree with terms and conditions and would like to receive updates from VARNA PAŠA portal. Project is cofinanced by Europan Commission with the support of LIFE financial mechanism. ©2019 VARNA PAŠA. All Rights Reserved. Created by - PRELOM d.o.o.